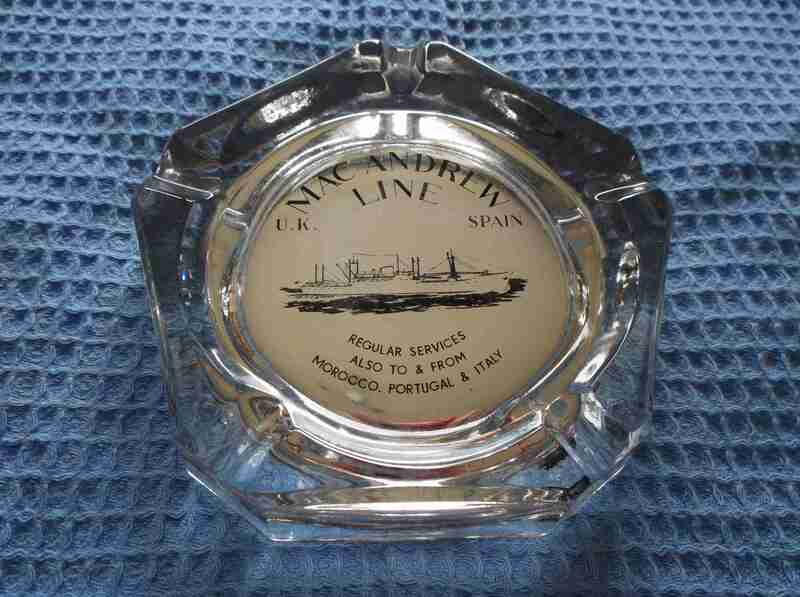 DESCRIPTION -- Souvenir ashtray from the MacAndrew Line shipping company which is produced in glass and it shows on it the company name and a view of a vessel at sea. In an excellent condition and almost new condition and the size is 5" (13cm) wide. HISTORY -- In 1770 at the age of just 18, William McAndrew from Elgin in Scotland, started trading and imported fruit from mainland Spain and Portugal, and the Azores. He opened offices in London and Liverpool. 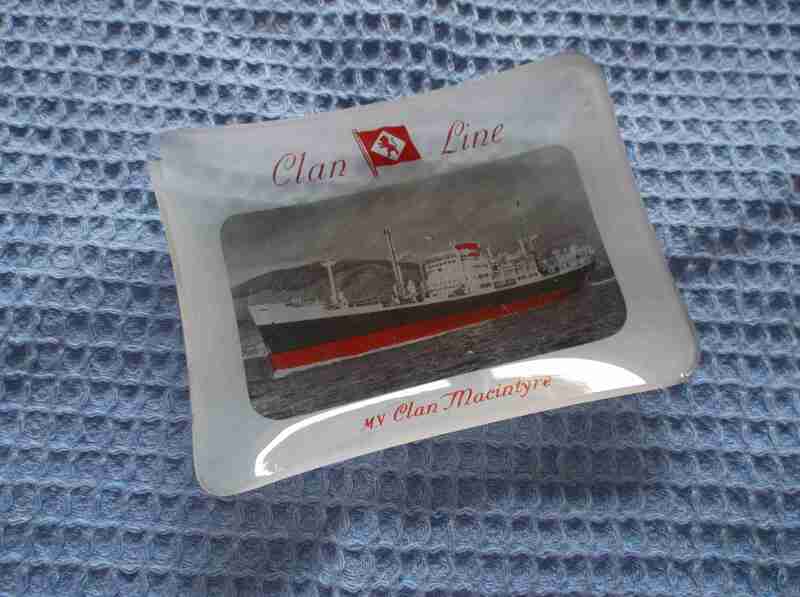 DESCRIPTION -- Souvenir dish made of glass from the Clan Line and is from the vessel Clan Macintyre. It shows on it the company houseflag, name and picture of the vessel and is in a good condition with the size being 4Ãƒâ€šÃ‚Â½" (12cm) x 3Ãƒâ€šÃ‚Â½" (9cm). HISTORY -- The Clan Line was founded in 1877 in Liverpool as C. W. Cayzer & Company, trading from the UK to India. The company became Cayzer, Irvine & Company in 1878 when Captain William Irvine joined the firm. In 1881 the Clan Line Association of Steamers was formed and, with an influential Glasgow businessman joining the firm, the company was moved to Glasgow. Clan Line head office was established at 109 Hope Street, Glasgow. New ships were built and managed for the Association by Cayzer Irvine, with Cayzer retaining ownership of the original six Clan ships.